It’s so nice to walk out into the back yard and know that your family is protected by an excellent fence. 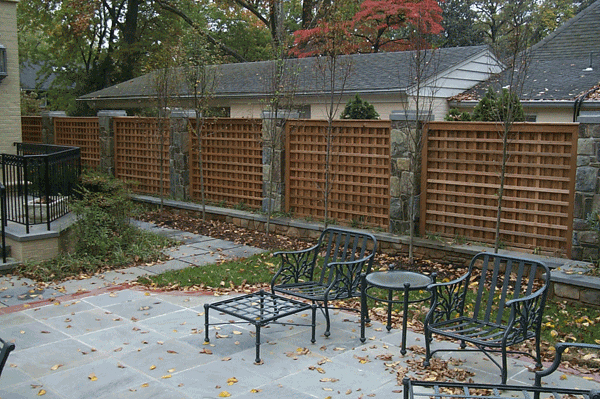 The level of comfort that comes with owning a fence cannot be replaced. Knowing that your family is going to be safe while they play in the yard together is something that everyone should be able to enjoy. Now, there’s more to owning a fence than just protection. It offers other benefits as well. Let’s check them out. When a pet gets away from you, it can be a really scary experience. What if they get hit by a car or get too lost to find their way back? With a proper fence you can make sure that the dog stays safe. Talk to us about the kind of dog you have so that we can help you find the right material, height, and arrangement. Having a romantic dinner in the back yard can be seriously hampered by a neighbor walking by and whistling at you. Maybe it’s a hot summer day and you just want to lay in your kiddie pool in peace. We love our neighbors, but it’s nice to see them when we want to. Don’t let them just walk up on you whenever they please. It can be very annoying. 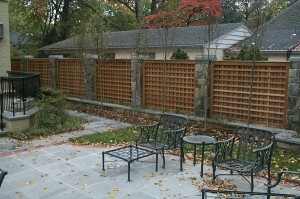 Having a fence installed is nice for all the reasons that were stated above. Any potential buyers are going to think the same way. When you get ready to sell your home you are going to want to have the best curb appeal you can afford. Having a fence on the property is going to do just that. So, invest in your future with a fence. This entry was posted on Saturday, March 28th, 2015 at 11:37 pm. Both comments and pings are currently closed.